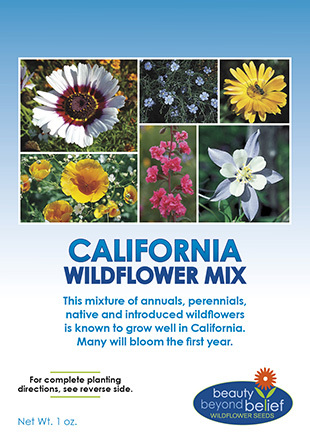 This beautiful mixture of annuals, perennials, native, and introduced wildflowers is designed to grow well in California. 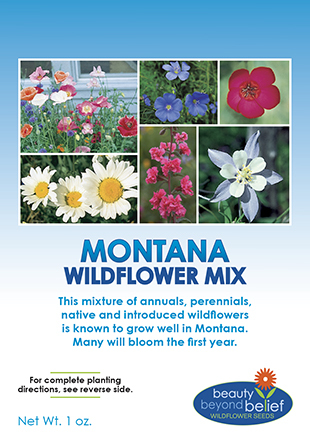 Many of these species will bloom the first year with the perennials becoming established and then blooming in subsequent years. 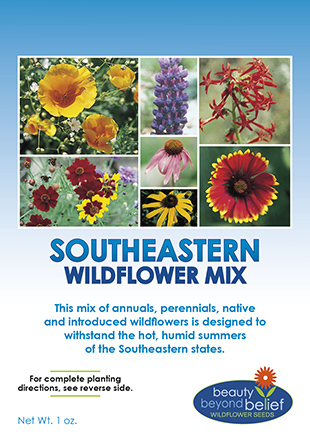 This beautiful mixture of annuals, perennials, native, and introduced wildflowers is designed to grow well in California. 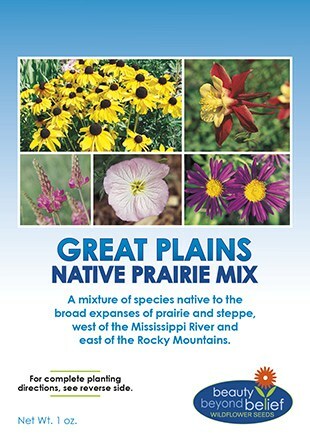 Many of these species will bloom the first year with the perennials becoming established and then blooming in subsequent years. 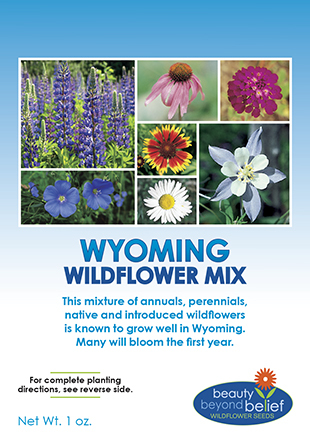 In temperate climates, plant in the fall when the soils have cooled and there is more moisture. In northern areas, plant in the early spring. Lightly rake in and cover with a thin layer of good soil or mulch to aid with water retention, no deeper than 1/8 – 1/4th inch. If irrigation is possible, soak the area once and keep moist until germination. In dry climates or in drought, up to 1/2 inch of irrigation per week may be required after germination until plants become well established.